Many of the people who have made the greatest impact on our lives - through literature, art, nnovation, technology and scientific discovery - did so without any belief in gods. Some of the stories we'll share are familiar. Some will take you by surprise. 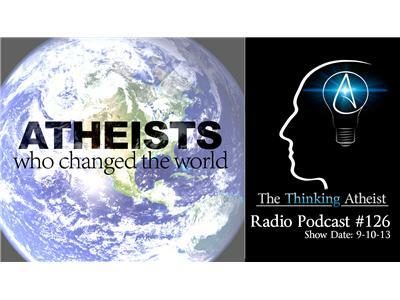 Join us as we take a look at Atheists Who Changed The World.